The classic, cotton twill fabric has stylistically morphed from era to ear, now...it’s going head-to-toe in one go! 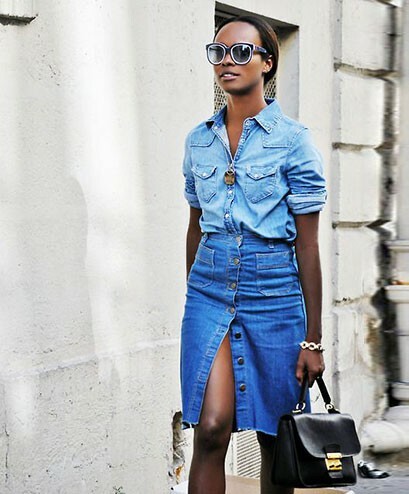 Let’s explore denim on denim. Once a faux paux (ughmm Britney and Justin circa 2001), the all denim look is no longer earmarked as the Canadian tuxedo. Overall, the upheaval of this trend is a handclapping affair. Most of us own denim, so such an ensemble is totally accessible. 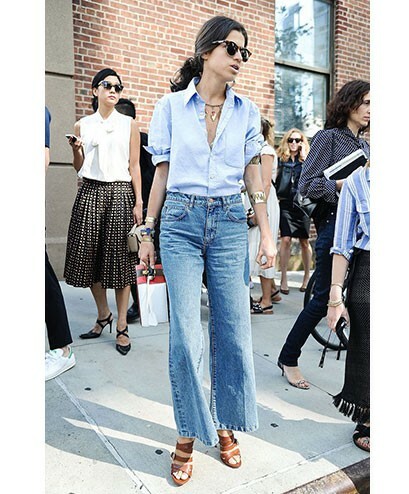 When it comes to creating your own approach to doing denim on denim, it’s all about pairing paying attention to proportions.